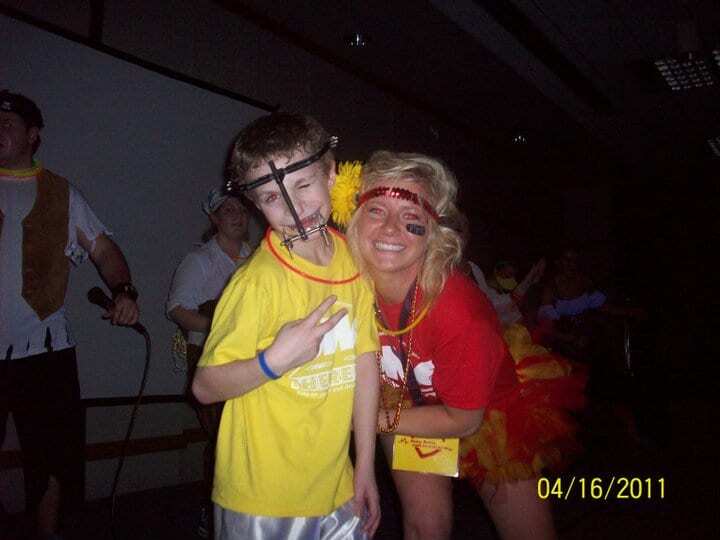 Loras College Dance Marathon started making miracles For The Kids back in 2005 when they hosted their inaugural event to raise money for the University of Iowa Stead Family Children’s Hospital. At that event, the students met miracle child, Jacob Dean for the first time. Jacob, who at the time was only 5 years old, and his family, heard about the Dance Marathon at Loras College and immediately wanted to be a part of it. Jacob was born with a cleft lip palate and has been to the University of Iowa Stead Family Children’s Hospital many times for treatment and surgeries. His family instantly fell in love with the mission of Dance Marathon after attending the event and they haven’t missed a single one since 2005. His family even hosts garage sales to raise money to donate to Loras College Dance Marathon’s efforts! Fast forward a few years and Jacob is now graduated High School and deciding which college to attend. 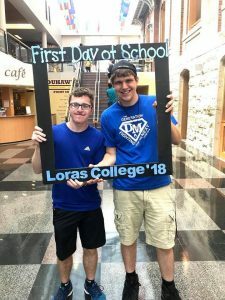 With surgeries planned from the summer and fall, he wanted to stay close to home, and knew that Loras College would be the perfect fit. Jacob moved in with the rest of his classmates this fall to start his freshman year. He hopes to get involved in Dance Marathon as soon as he can, but this time, as a student on the graphic design committee. 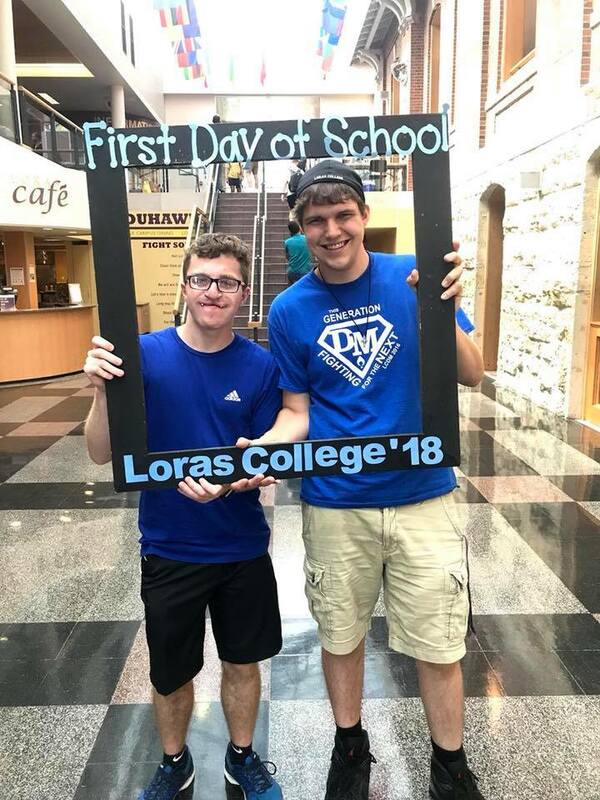 The Loras College DM team is excited to welcome Jacob into the organization and have him as a classmate.